During 2016 the Committee of Friends of Hazelhurst did much work to update the Constitution to ensure it met the requirements of the relevant Government bodies that regulate not for profit and community organisations. The updated constitution, see below, was presented and approved at the Annual General Meeting on 16 Feb 2017. CONSTITUTION OF ‘FRIENDS OF HAZELHURST REGIONAL GALLERY AND ARTS CENTRE INC’. 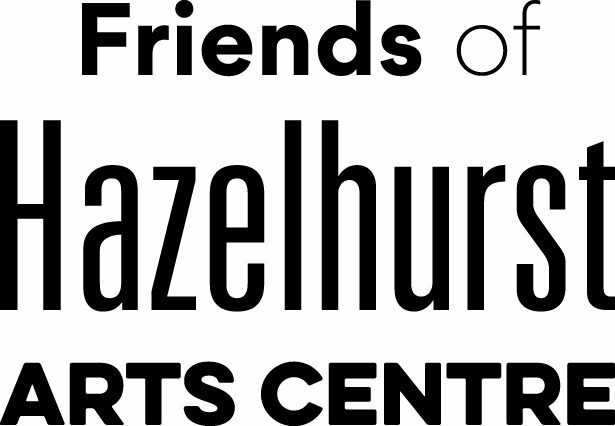 The name of the group shall be Friends of Hazelhurst Regional Gallery and Arts Centre Inc. (hereinafter referred to as “Friends”). 2.1 To support, stimulate and sustain public interest in the Hazelhurst Regional Gallery and Arts Centre, cottage and gardens. 2.2 To promote the arts in the Sutherland Shire and Southern Sydney region. 2.3 To raise funds in order to assist projects for the Hazelhurst Regional Gallery and Arts Centre, cottage and gardens. 2.4 To ensure the cottage and gardens of Hazelhurst Regional Gallery and Arts Centre are preserved for community use and appreciation. 3.4 Financial members of the “Friends” over 18 years of age shall be entitled to one vote per individual membership and two votes per family or group membership, in respect to any matter proposed at a Special General Meeting or Annual General Meeting and the decision will be the majority vote cast. Votes may be cast in person, by email or postal ballot on approved “Friends” voting forms. There shall be no voting by proxy. Members of the “Friends” shall have no liability to contribute to the payment of debts and liabilities of the “Friends” or to the costs, charges and expenses of the winding up of the “Friends”. 5.1(1) A dispute between a member and another member (in their capacity as members) of the “Friends”, or a dispute between a member or members and “Friends”, are to be referred to a community justice centre for mediation under the Community Justice Centres Act 1983. (2) If a dispute is not resolved by mediation within 3 months of the referral to a community justice centre, the dispute is to be referred to arbitration. (3) The Commercial Arbitration Act 1984 applies to any such dispute referred to arbitration. (b) has wilfully acted in a manner prejudicial to the interests of the “Friends”. (2) The Committee may refuse to deal with a complaint if it considers the complaint to be trivial or vexatious in nature. (c) must take into consideration any submissions made by the member in connection with the complaint. (4) The Committee may, by resolution, expel the member from the “Friends” or suspend the member from membership of the “Friends” if, after considering the complaint and any submissions made in connection with the complaint, it is satisfied that the facts alleged in the complaint have been proved and the expulsion or suspension is warranted in the circumstances. (1) A member may appeal to “Friends” against a resolution of the Committee under clause 5.2 (4) within 7 days after notice of the resolution is served on the member, by lodging with the Secretary a notice to that effect. (2) The notice may, but need not, be accompanied by a statement of the grounds on which the member intends to rely for the purposes of the appeal. (3) On receipt of a notice from a member under subclause (1), the Secretary must notify the Committee which is to convene a Special General Meeting of the “Friends” to be held within 28 days after the date on which the Secretary received the notice. (c) the members present are to vote by secret ballot on the question of whether the resolution should be confirmed or revoked. (5) The appeal is to be determined by a simple majority of votes cast by members of “Friends” at the meeting. The “Friends” shall be non-sectarian and support no particular political party. 7.1 The annual membership fee shall be determined by the Executive Committee and agreed upon by majority vote at a General Committee Meeting. 7.2 If the subscription is not renewed within three (3) months of expiry the member will be deemed un-financial. 8.4 In the event of dissolution of “Friends”, the remaining funds shall be diverted to an organisation consistent with the stated objectives (Article 2). 8.5 The “Friends” may not make any dividend or gift or division or bonus of money into or between any of its members. 9.4 Each member of the Executive Committee shall hold office from the date of their election until the next Annual General Meeting. Each position shall be held for a period of no longer than three (3) consecutive years but not precluding a different position within the Executive. 9.6 The quorum for an Executive Committee Meeting shall be four (4) including using technology approved by the committee. 9.8 A meeting may be called by the President or any three (3) members of the Executive Committee. The Secretary shall ensure all Executive Committee members are suitably informed. 9.9 Questions arising at any Executive Committee Meeting shall be decided by a majority of votes of those present. In case of equality of votes, the person in the Chair shall have a second or casting vote. 9.10 Resolutions from the Executive Committee are to be communicated to the FOH General Committee. 10.6 The Membership Co-ordinator shall keep an up to date Register of all members. 11.2 All properties are to be listed and handed over to the incoming Executive Committee at the Annual General Meeting. Any legal documents required to be executed by or on behalf of the “Friends” shall be sufficiently authentic if signed by two (2) of the following four (4): President, Vice President, Secretary, Treasurer. g) Appointment of a Public Officer. 13.6 Voting and nominations for positions may be cast in person, by email or postal ballot on approved “Friends” forms. There shall be no voting by proxy. 13.8 Nominations of candidates for election as Executive Committee members may be made at the Annual General Meeting or in such way as may be determined as per clause 9.3.
b) A Special General Meeting must be convened by the Executive Committee within one month of receiving a written request to do so by at least 5% of the total number of members. 14.3 The quorum for a Special General Meeting shall be five (5) members present in person. 14.6 Voting at a Special General Meeting may be cast in person, by email or postal ballot on approved “Friends” forms. There shall be no voting by proxy. 14.7 In the case of equality of votes, the person appointed to chair the meeting shall have a second or casting vote. d) Voting on a Special Resolution may be cast in person, by email or postal ballot on approved “Friends” forms. There shall be no voting by proxy. f) in situations where it is not possible or practical for a resolution to be passed as described above, a request must be made to the Department of Fair Trading for permission to pass the resolution in some other way. 16.1 The Executive Committee shall ensure that a person is appointed as Public Officer. 16.4 When a vacancy occurs in the position of Public Officer, the Executive Committee shall within 14 days notify the Department of Fair Trading by the prescribed form and appoint a new Public Officer. The new Public Officer is required to notify the Department of Fair Trading of his/her appointment within 14 days. 16.5 The Public Officer may be an Office Bearer, Executive Committee member or any other person regarded as suitable for the position by the Executive Committee. e) a change of the “Friends” financial affairs within one month after the Annual General Meeting. 16.7 A change in membership of the Executive Committee must be recorded in the minutes of an Executive Committee Meeting or AGM. 17.4 Co-ordinators shall not incur debts without the Executive Committee’s prior approval. 17.5 The Executive Committee may at any time revoke the authority of a Co-ordinator of the General Committee. 17.6 A “Friend” member not on the Committee may attend a General Committee Meeting as an observer, or for a presentation to the Committee upon request to a member of the Executive Committee and with their approval. 18.1 The Common Seal of Friends of Hazelhurst Regional Gallery and Arts Centre Inc. shall be kept in the custody of the Secretary or the Public Officer, if so desired by the Department of Fair Trading and shall only be affixed to a document with the approval of the Executive Committee. 18.2 Service of documents on the “Friends” is effected by serving them on the Public Officer or by serving them personally on two members of the Executive Committee. 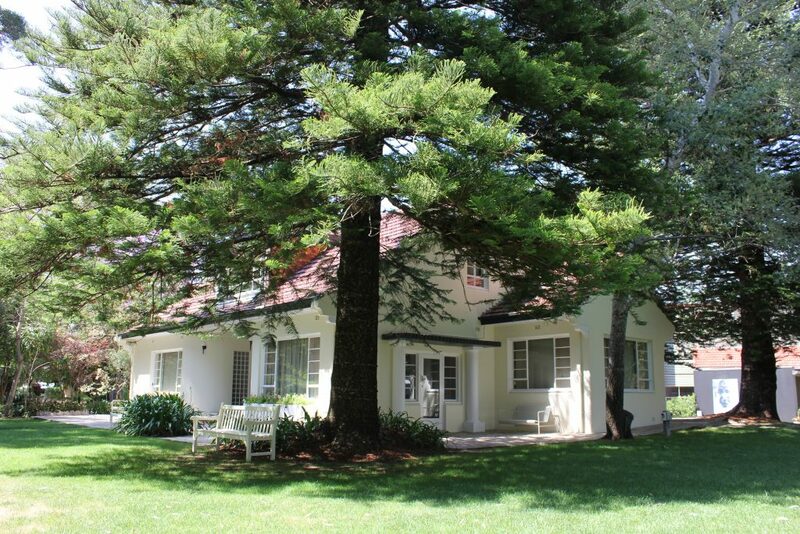 For information on the Hazelhurst Arts Centre, their exhibitions and programs, visit the Sutherland Shire's website.